I was probably about six the first time I was sent to a summer day camp. I was enrolled in a place called Camp Belle in Totowa. It was at an open piece of land where there was a pretty substantial swimming pool. That was the key to my enrollment because what my mom wanted to happen at summer camp was for me to learn to swim. So off I went. On Friday, at the end of my first week, my mother wanted to know what I had learned. I duly reported that they taught me how to blow bubbles in the water. She was infuriated. That was the end of Camp Belle and by Monday I was at the Paterson YMCA. Turns out that was one of the best things that happened during my childhood. Here are some reasons why. I learned how to swim. Probably the first week. We were in the water all the time and there were trained instructors rather than high school kids with summer jobs. Nobody left the Y day camp without knowing how to swim. I met kids from different backgrounds and different places. I had no contact with black or Hispanic kids in the town where I lived. All I knew about them was the vitriol that spewed from my father’s mouth. At the Y I learned pretty quickly, as I believe most kids do, that being with people from different backgrounds who have had different experiences, makes things more interesting and more fun. I learned to do things that I didn’t know I could do. Flips on a trampouline, diving off a diving board, playing full court basketball in a real gym. It gave me some self-confidence that I didn’t have when I started. And oddly, I had to go to an inner-city YMCA to get to experience nature. 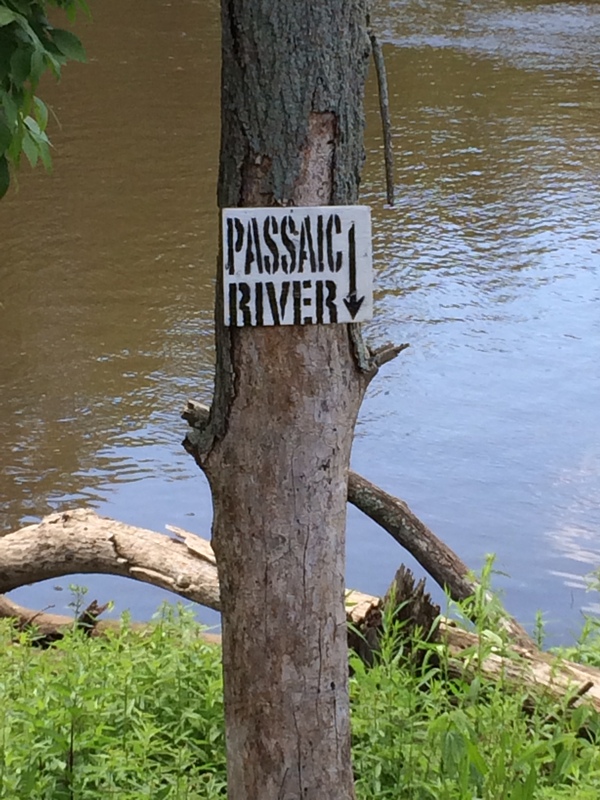 On Fridays, we were bused to nearby Garrett Mountain or we took canoes down the Passaic River. We’d stop and swim and swing from the overhanging tree branches. A few years later no one would consider the Passaic, or most of the other rivers in the New York area, to be fit to swim in. So I feel lucky I had that experience. Now I have a son who is ten. Guess where he learned to swim. And as the summer is about to roll around he will again be going to the Montclair YMCA Camp at the Lake where he will swim, boat, fish, hike and camp. He loves it as much as I did. 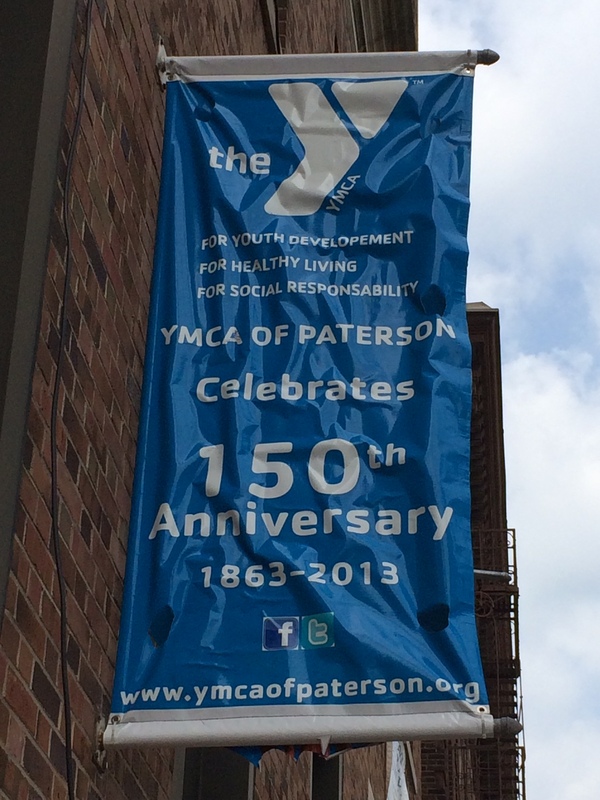 This entry was posted in Growing Up in the 50s and tagged 50's, day camp, Paterson, YMCA. Bookmark the permalink. I enjoyed your note. From around 1951 until about 1959, I attended the Paterson YMCA Camp out in northwestern NJ near or on Silver Lake. There were about 160 campers from all over the NY/NJ area and about 100 staff. It was wonderful and I am hoping to write about it. 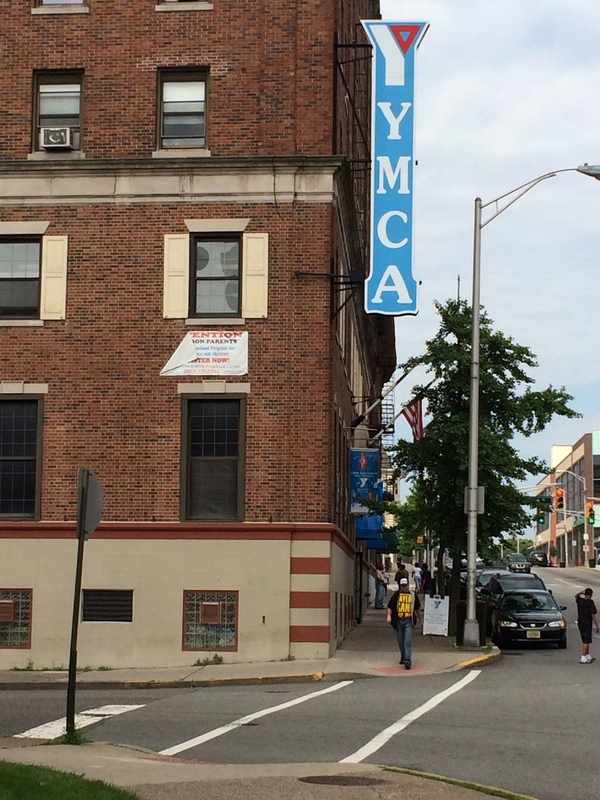 I have never been to the Y in Paterson, but have contacted them to find out if anyone there has documents or records or memory about the camp which is now gone I am told. In the course of my search I came across your note. I would welcome email contact from people who attended or worked at the camp at any time in its life or from people who may know about the camp – even just when it opened or closed. Thanks for taking the time. does anyone have any information or photos of camp belle? ?